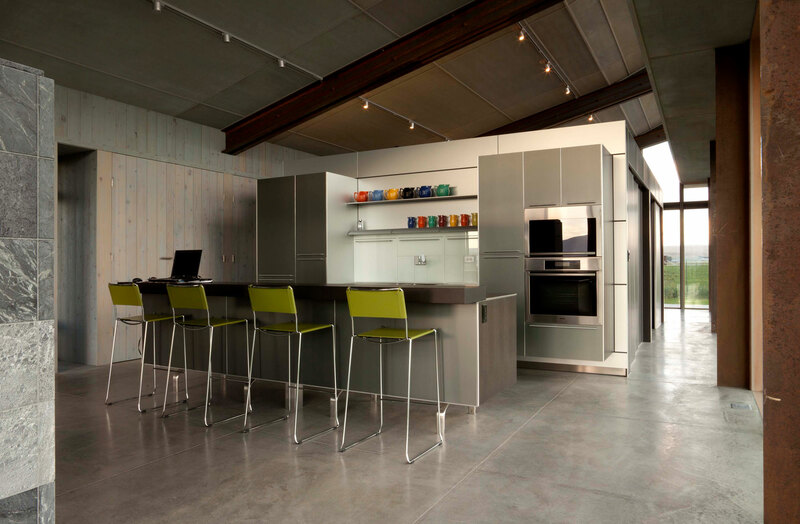 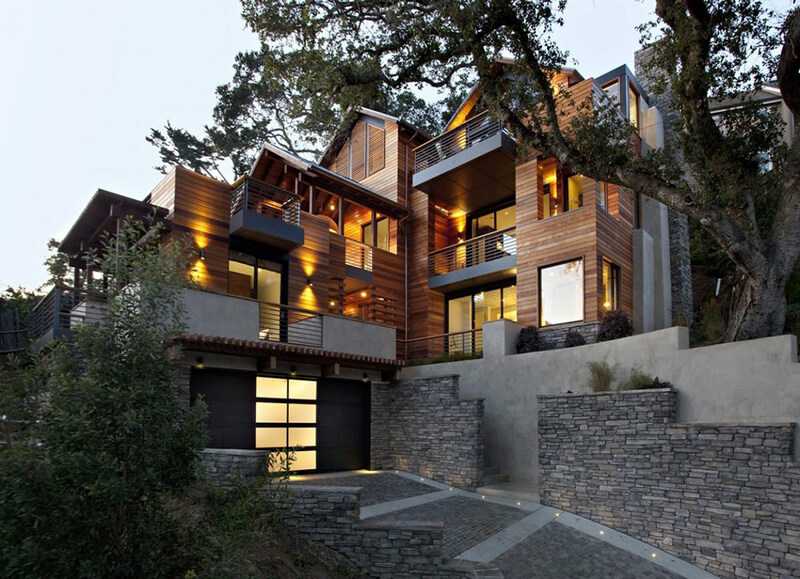 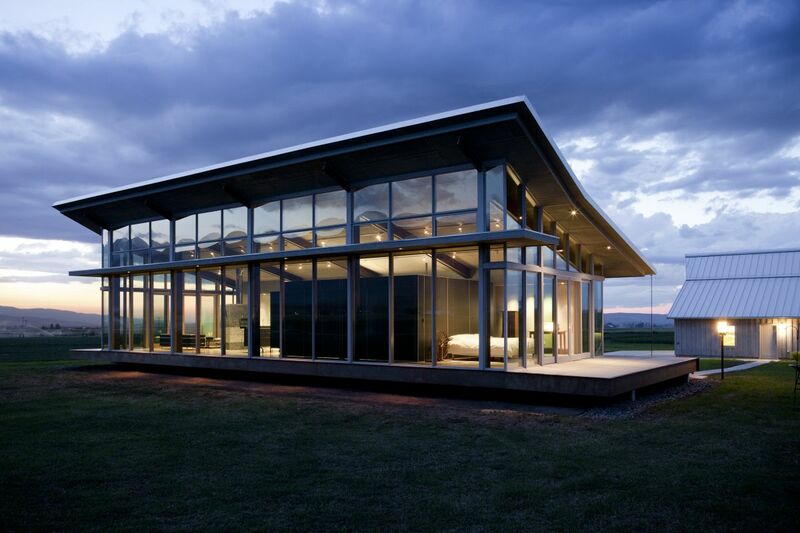 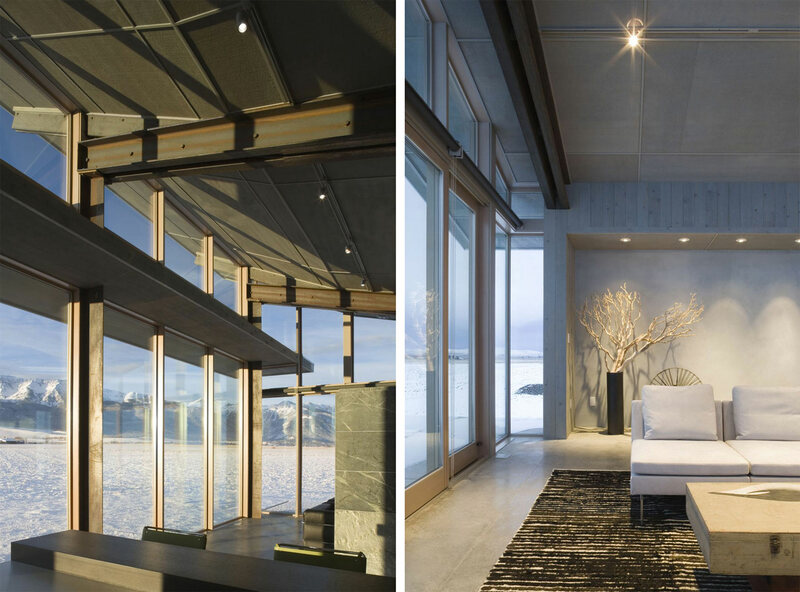 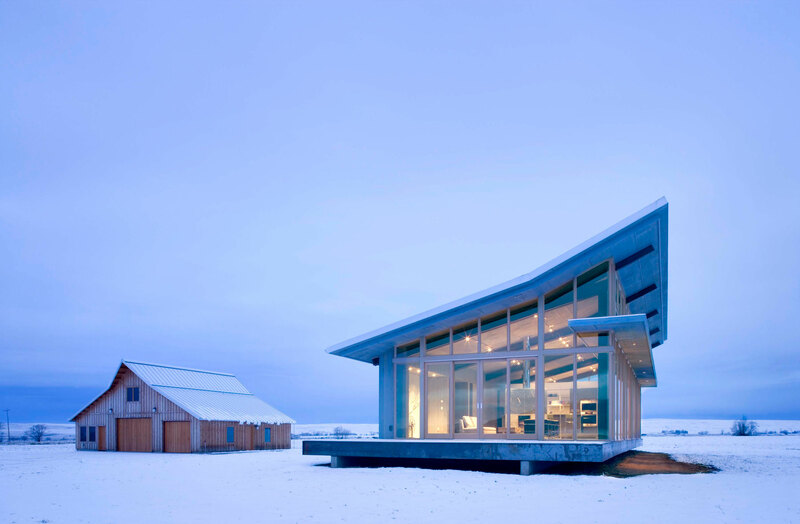 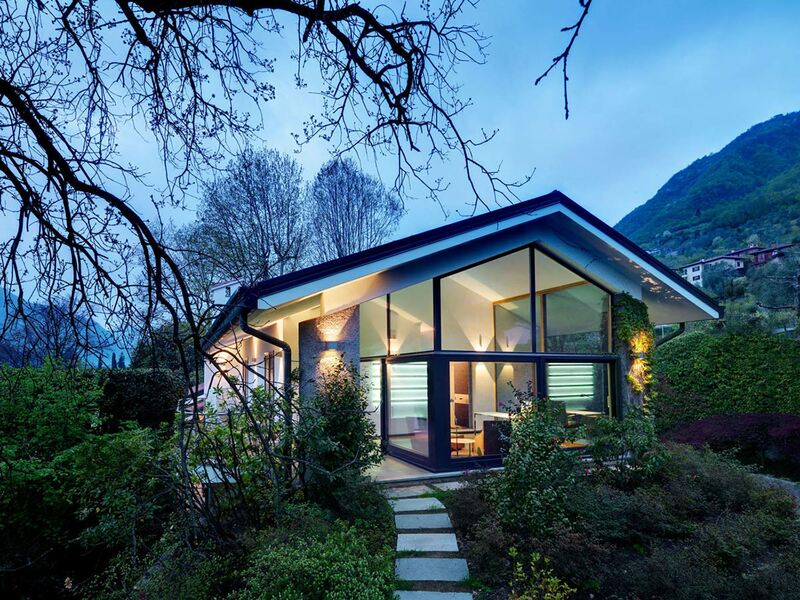 The Glass Farmhouse was completed in 2007 by the Seattle based studio Olson Kundig Architects. 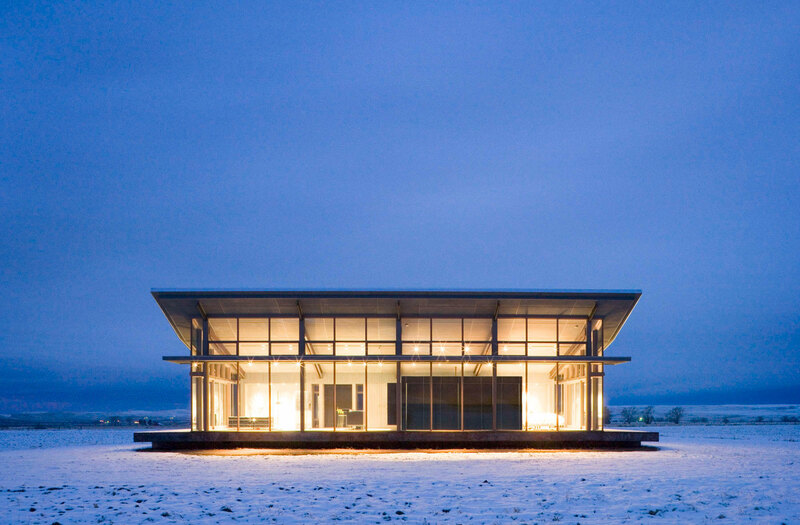 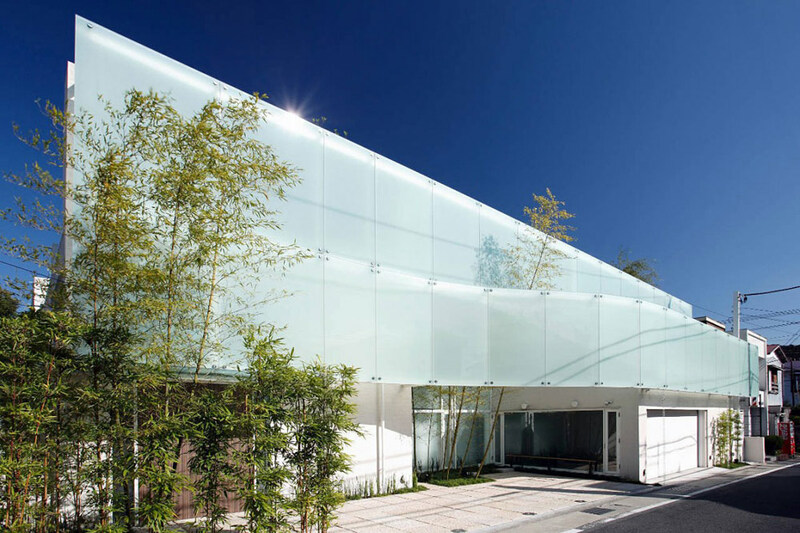 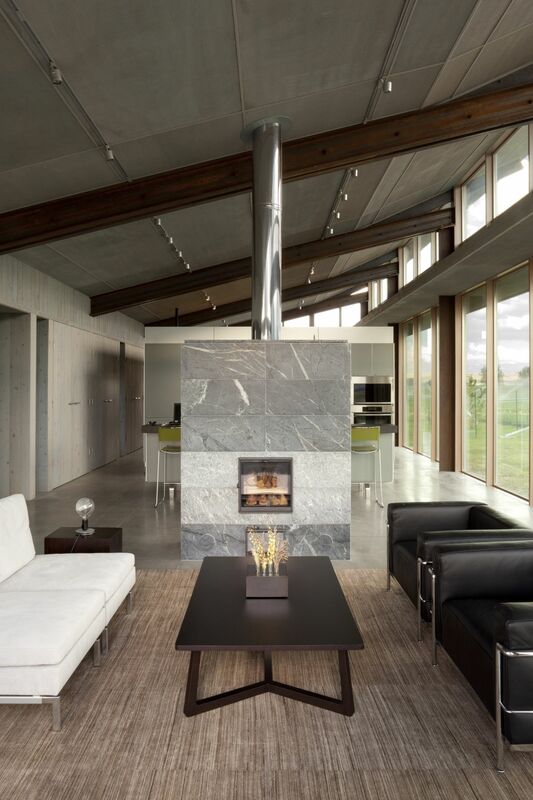 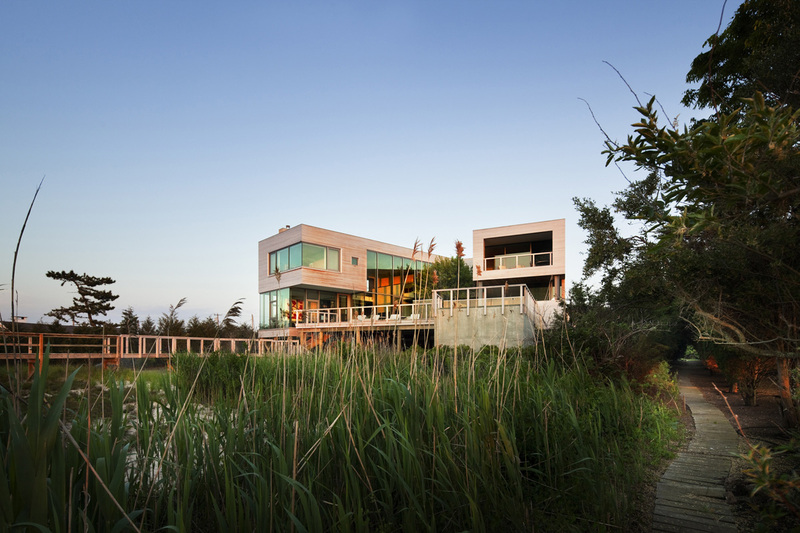 This 1,450 square foot, modern residence was conceived as a contemporary glass box that floats atop the surrounding wheat fields. 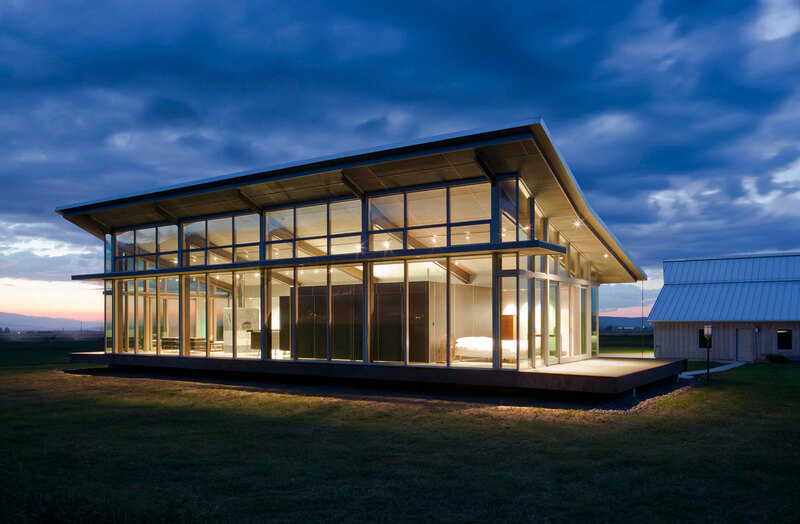 The house was inspired by the client’s deep interest in the design of Philip Johnson’s Glass House. 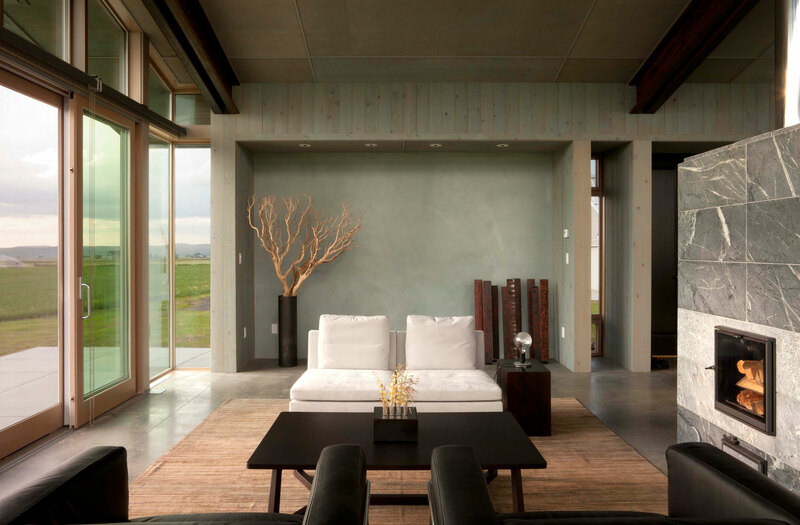 The house and barn are set on an 80 acre lot in Northeast Oregon, USA. 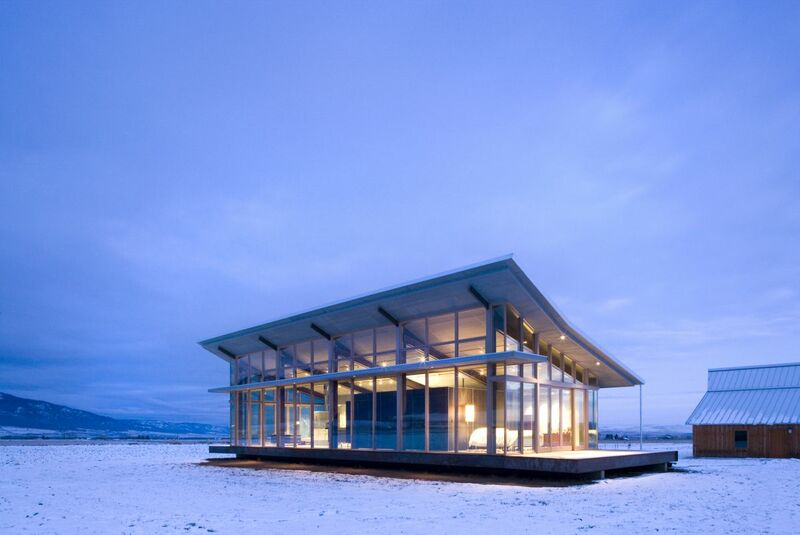 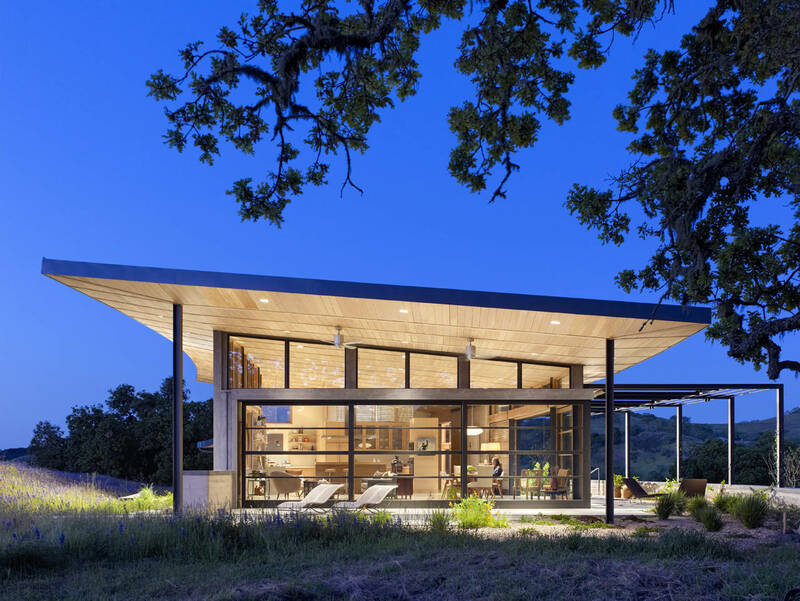 “Located in Northeast Oregon, this small house is conceived as a contemporary glass box that floats atop the surrounding wheat fields. 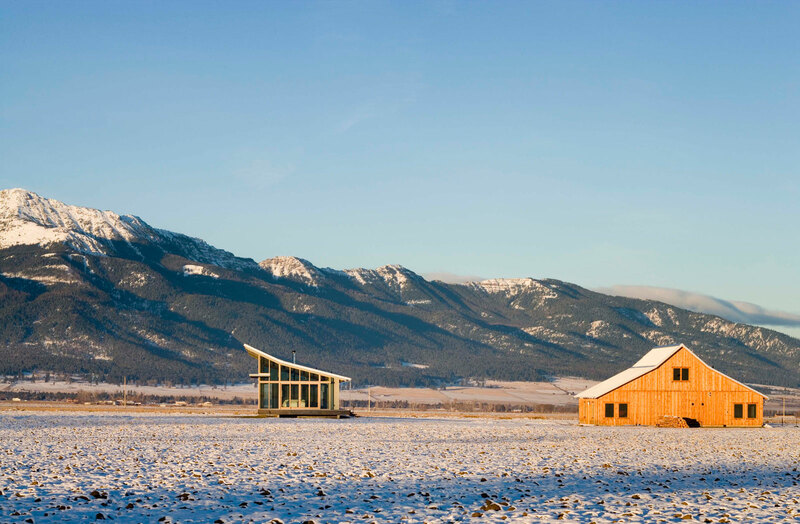 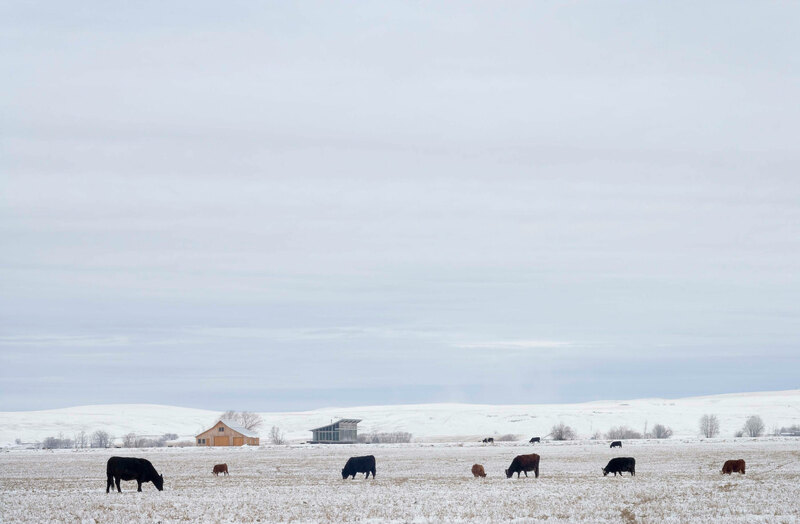 The design of the house and the accompanying wood-frame barn responds to the local vernacular of barns and farmhouses in the Pacific Northwest while responding to the client’s deep interest in the design of Philip Johnson’s Glass House. 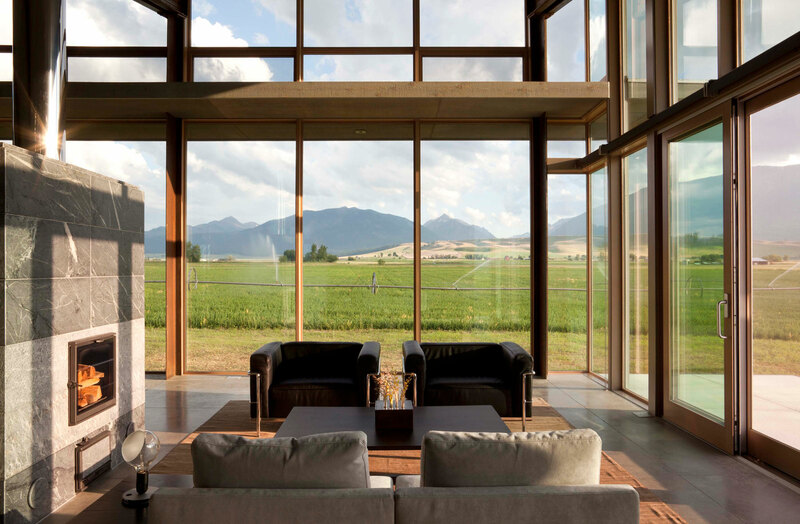 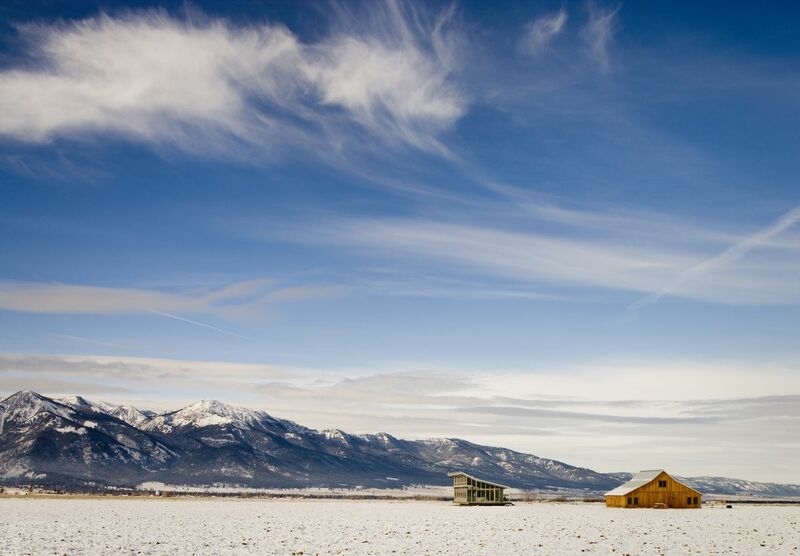 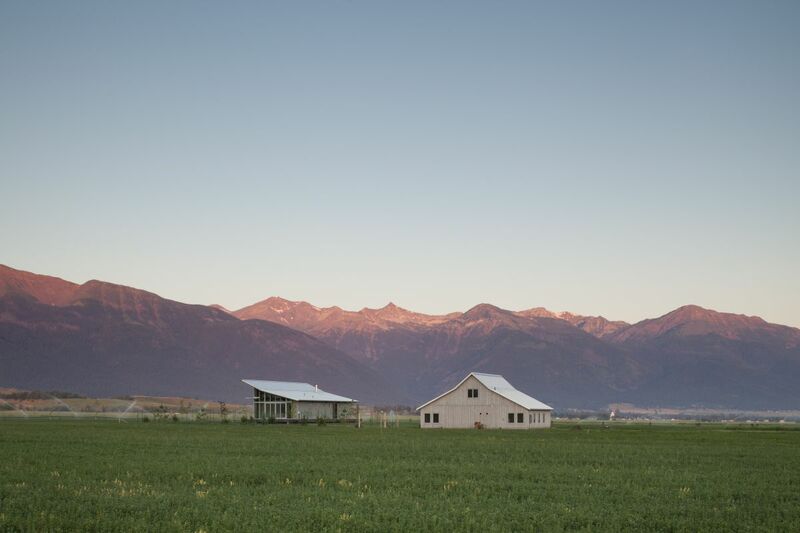 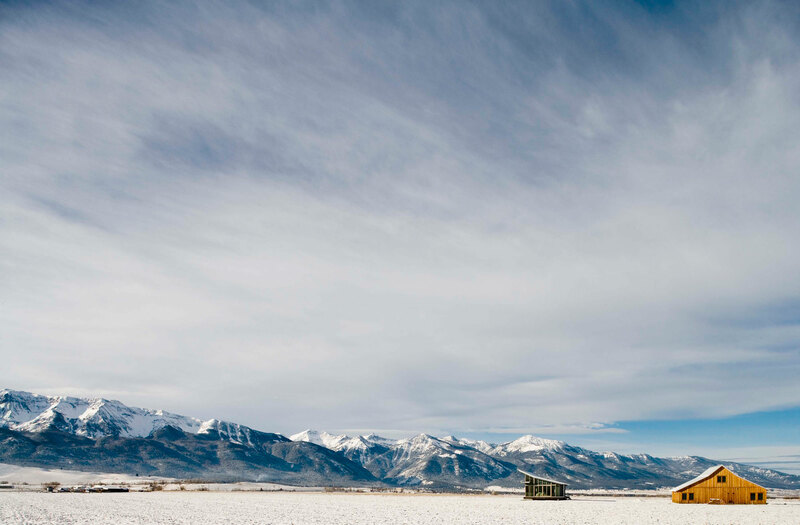 Facing south towards the distant mountains, the house adapts well to the cold, snowy winters and hot, dry summers. 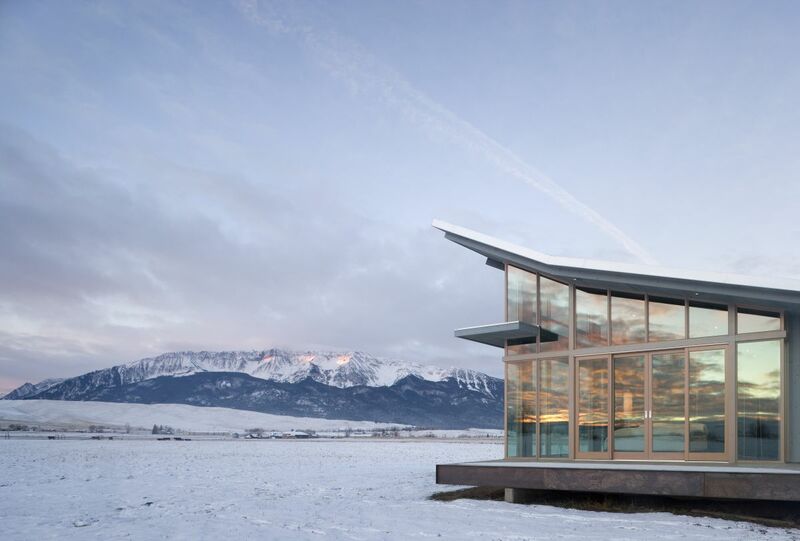 In the winter, the orientation takes advantage of passive solar heat gain from the low-angled winter sun; in the summer, roof overhangs and a light shelf block the high hot summer sun from entering. 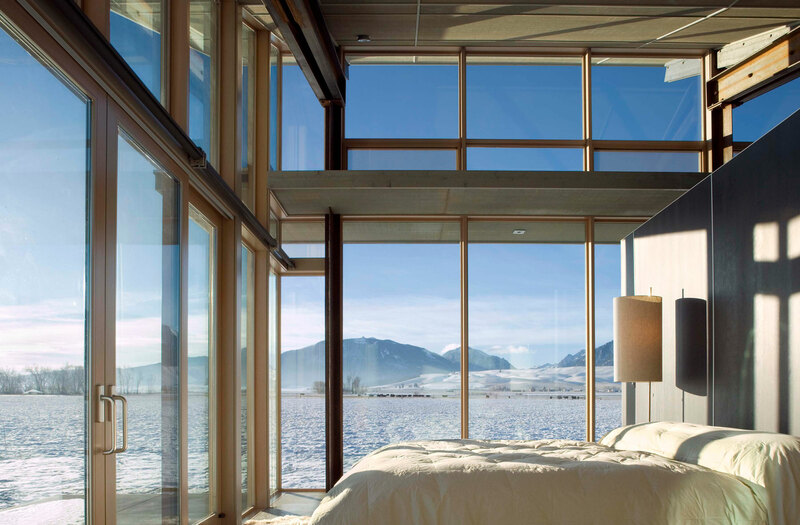 Large, operable windows of high-efficiency glass provide cross-ventilation cooling, lessening the house’s need for air-conditioning.